They serve very good South Indian Food. 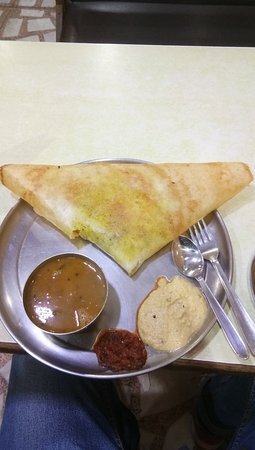 We had masala dosa and taste was awesome. Try their Tomato chutney, you will love that. The masala dosa did not let us down. It is still delicious, the chutney excellent and sambhar to die for. Must don all this down with the filter coffee. Though prices have gone up (expected), the taste and quality has been maintained. Dosas in Mussoorie - they are ok. If you need dosas, yes, you can have here. Nothing special out there. This is located around near Kulri Chowk and 2-3 mins walk. The service is slightly slow. Also needs to be more clean. Just like any average udupi restaurant around the country. Only south Indian rest. We have had south indian meals and the stuff was very mouthwatering, e.g. Dosa, Idly or Vada. Dosa was excellent but need some more space as tables lack in space.. you can enjoy all south indian stuff here. 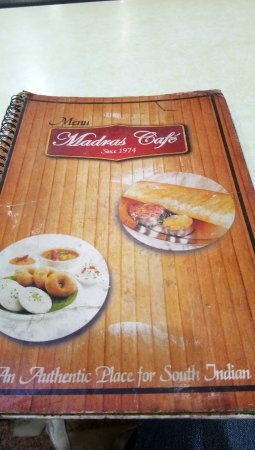 Get quick answers from Madras Cafe staff and past visitors.